We give you the best of both worlds. 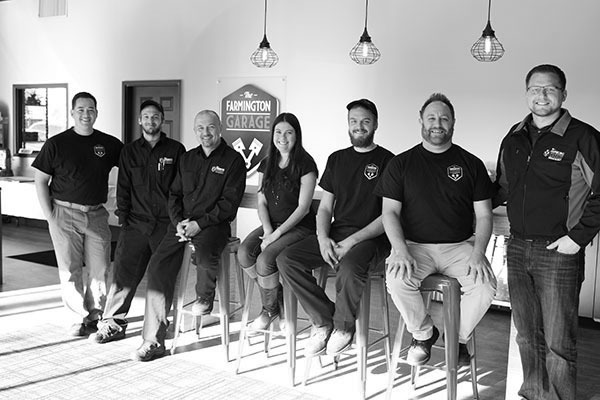 Farmington Garage in Farmington, MI combines its intimate hometown service with the latest engine diagnostic tools and equipment. When you come to our expert auto repair facility we make you feel like part of our team. You need your vehicle serviced consistently and efficiently, so you can expect nothing less when you come to our shop. Our technicians are ready to meet all of your auto service needs. The quality of our shop is evident with the menu of vehicle repairs and maintenance that we cover. Our technicians have been around for a while, committed to a higher standard of auto service excellence. We keep our team heads and shoulders above its competition. All drivers want their vehicle's services to be right! Meaning, those who come to Farmington first for diagnostics, repairs, and maintenance can count on their vehicle's extended road-life, and peak performance. Quality preventative maintenance is our secret to your engine's protection and preservation. Your vehicle's enhanced performance after every visit to Farmington's Garage will be its thank you, to you! An accurate diagnosis and engine analysis is our first step before performing any auto repairs. Our team is here to tell you the TRUTH about your vehicle's services. When we diagnose your vehicle, we're looking out for your budget and your vehicle's necessary services. You don't expect a family member to overcharge you or give you a misdiagnosis and that's the same standard you can expect from us. Not only are we concerned with your vehicle's future performance, but we also keep an eye on your budget. Consider us your one-stop shop for all of your vehicle's needs, whether it's an oil change, tire service, check engine light repair, engine replacement, or any other bumper-to-bumper service need. Act fast, act now, so our team can make sure your vehicle's services are performed with as little time and expense as possible. We fix it all! Feel free to stop in any time to meet our experts!